Struck from specially treated dies, these 2013 Proof Silver American Eagles have features that make them unique collectibles. Backgrounds shimmer with a mirrorlike finish while frosted raised devices amplify details in the classic design. Moreover, the U.S. government controls the mintage, guaranteeing their scarcity. Click here to buy. Whether you are worried about the economy or saving for the future you may want to consider putting a little bit of your savings into Precious Metals like Gold or Silver. But don’t rush into this investment without considering the following 4 points. Learn the terms: Confused by what spot, bid, ask, and troy ounce is. Learn about these terms by visiting our glossary or by visiting our new investors page. Research the product you would like the purchase: Some Gold products are more expensive than others. Call one of our representatives who can help you figure out the best product for your needs. We have over 7,000 products in stock so we have no doubt you will find something that is best suited to meet your financial goals! Research the precious metals dealer: Buy from a reputable company. Check customer ratings on the company website, ensure that they are BBB accredited and visit the company’s social channels on Facebook, and Twitter. Look for a company that offers transparent pricing and secure shipping. There are a lot of players out there and you want to make sure that you buy from the company that is best suited to your needs. Think about storage: If you make a large investment in Precious Metals, you will want to consider storage options. APMEX customers can store their purchases at a wholly owned subsidiary called Citadel. Learn more here. 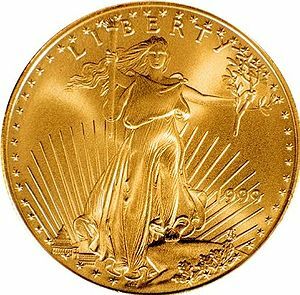 Visit APMEX.com or call (800) 375-9006 to find out more about buying Precious Metals. You’ll see that APMEX has all four of these important characteristics you should look for in a Precious Metals dealer. The news of the new round of stimulus has also had a positive effect on the U.S. stock markets. After hitting new highs on Thursday, the U.S. stock-index futures for Friday are already up over 40 points. “While we will hear a lot of criticism on the FOMC’s aggressive moves, we shouldn’t forget that for markets, it usually doesn’t pay to fight the Fed,” wrote strategists at KBC Bank in Brussels. Thursday’s rally pushed the S&P 500 index past the 1440 to 1445 range where it had been encountering significant resistance. Gold – $1,771.70 – Up $0.80. Silver – $34.57 – Down $0.22. Platinum – $1,699.10 – Up $18.60. Palladium – $702.00 –Up $13.10. APMEX offers a superb selection of Silver Bullion Bars. Buying Silver bars online has never been easier! APMEX guarantees you will receive only .999 fine silver bars. When buying sizes 1 oz – 100 oz, we will ship from one of our diverse mix of high quality manufacturers such as Sunshine Mining, U.S. Assay, A-Mark, Silvertowne, Engelhard, APMEX, Johnson Matthey, and others. All are Hallmark stamped with their exact purity of contained silver from their issuer. Many times we ship various designs with each shipment. APMEX Grand Design Challenge. Design the 2013 APMEX Commemorative Silver Round. Win a Grand! Winner receives $1,000 and a round trip for two to Oklahoma City for a VIP tour of APMEX. Hurry, entries must be received by 5PM (EDT) Aug. 22 2012. We’re looking for a great, new design, and it might be yours. This round will be the 2013 APMEX Commemorative Silver Round and will be widely marketed on our website. Enter the APMEX Grand Design Challenge and you can win $1,000 plus a round trip for two to Oklahoma City for a VIP tour of the APMEX facility. You’ll get an inside peek into one of the largest Precious Metals retailers in the world and see how we buy and sell more than 7,000 different Gold, Silver, and other Precious Metals every year. You’ll visit the vault where we lock up some of the world’s most popular bullion and collectibles. And you’ll get $1,000! First, design a silver round. Any round that you would want to own if someone would make it. No need to include country of origin or denomination. We’re looking for a basic APMEX round. Consider this example. Design your round to be 38.5 mm in diameter. Convert your design to .jpg or .pdf format, and make sure the file size is under 1MB. Email your design to coindesigncontest@apmex.com before 5PM (EDT) Aug. 22 2012. Be sure to include your full name and phone number in the body of the email. Only one entry per person is allowed. Make sure the design you submit is the one you want; once you submit your entry, no revisions can be made. Winner will be announced Sept. 05, 2012. Come back to this page to see the winning design. So have fun. Create something beautiful, unique or personal. Create a design of your dream. This is your commemorative Silver round. Have some fun with it. Design submissions will be judged based on originality and creativity. Decision of the judges is final. Make sure you email your entry by 5PM (EDT) Aug. 22 2012. And good luck.